A key element of an effective and comprehensive health and safety management system is a clear understanding of the reporting and notification requirements. All employees including employers, contractors, suppliers, and workers have specific reporting and notification responsibilities that help to ensure and demonstrate compliance with the legislation. Responsibilities are outlined in the Saskatchewan Employment Act, the Occupational Health and Safety Regulations, the Occupational Health and Safety (WHMIS) Regulations and the Mines Regulations. The legislation also outlines reporting and notification requirements for the Minister, the director of occupational health and safety, the chief occupational medical officer, the chief mines inspector, and the occupational health officers. Timelines may be associated with these requirements. As an employer, contractor, or owner, you have reporting responsibilities about any new operation and for dangerous occurrences. 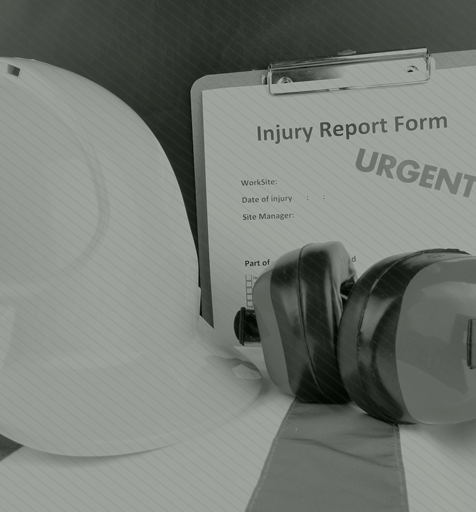 Employers and contractors also have reporting responsibilities about any accidents causing serious bodily injury and lost-time injury in the workplace that requires medical treatment. Employers must, if requested by the Minister, provide a report detailing all person-hours worked and work-related injuries of the previous year. begin a high-risk asbestos process within 14 days. Give notice as soon as possible to the division and a copy of the notice to each occupational health committee (OHC) co-chairperson or the representative about the cause or potential cause of death of a worker and about any worker required to be hospitalized for 72 hours or more. Conduct an investigation of the accident with the OHC co-chairpersons or representative where they are required by the Act and prepare a written report in consultation with the OHC co-chairpersons or representative. Prepare a written report in consultation with the OHC co-chairpersons or representative. In addition, you must report any lost-time injury in the workplace that requires medical treatment to the co-chairpersons or representative and provide reasonable opportunity to review the lost-time injury during normal working hours and without loss of pay or other benefits. Ensure that a platform used in a building shaft that has been moved is examined, a written report is made by the competent person and a report is kept. Provide the director with a written report of the condition of the plant by a qualified person, setting out the results of those tests or examinations. Make readily available for reference by workers a copy of the policy statement required by section 3-21 of the Act. Notify a worker required to enter the confined space verifying that the confined space is not hazardous. Must investigate and prepare a written report in consultation with the OHC about any exposure of a worker to a chemical or biological substance that may affect their health and safety. The affected worker must receive a copy of the report. Provide the occupational health officer who received the compliance undertaking or who served the notice of contravention with a written report of the progress that has been made toward remedying each contravention. Compile occupationally related injury and illness statistics for the place of employment that protects the confidentiality of workers. if there is no occupational health committee or occupational health and safety representative; the workers. when requested, provide the director with a written report by a qualified person, setting out the results of tests or examinations related to the risk from exposure to a biological substance or chemical substance at work. recommended personal protective equipment to be used by a worker entering the confined space. Clearly post any prescribed notice in a readily visible location at a workplace or worksite where an employer, employer’s worker or self-employed person works. The posting must be in accordance with a contract between the contractor and the employer or self-employed person. At major construction projects and oil and gas operations, notify every employer, worker and self-employed worker in writing about the details of your contract with the employer or self-employed person. As a worker, you must immediately report the condition of any equipment under your control you believe or have reason to believe is not in a safe condition to your employer. As a member of the occupational health committee, you must maintain records with respect to the duties of the committee. The reporting and notification requirements for mining operations are outlined in the Mines Regulations. Provide the chief mines inspector written notice of your intention to start work, resume work after an interruption of two months or more, or start work at a major new part of a mine, as soon as possible. Provide the chief mines inspector with any report prepared by a professional engineer or professional geoscientist related to the regulation if there is a potential danger to any worker. The report must be provided within the required time period*. the hoist operator implements the established health and safety operational procedures. with a notice of intention to use a hoist with a smooth drum during shaft-sinking operations, preliminary development operations or other operations of a temporary nature at least 30 days before the hoist is put into service and details of the method to be used for tensioning the hoisting rope. Ensure that a worker who is in charge of a conveyance operating under manual control notifies the hoist operator if a heavy or irregularly shaped load is to be transported. Ensure that, on each shift before a conveyance operating under manual control is moved, the hoist operator records the results of each test of hoist breaks in the hoist operator’s log book. Ensure that a hoist operator records the results of the overwind and underwind tests in the hoist operator’s log book. Ensure that, before any worker is raised or lowered in a conveyance following a hoist stoppage for repairs or for another purpose or a stoppage of more than two hours, the hoist operator records the results of the test in the hoist operator’s log book. Obtain the written approval of the chief mines inspector of the disposal procedure to be used. As a blaster, you must notify the direct supervisor before commencing drilling. As a direct supervisor, you must record the location of each mishole remaining at the end of a shift in the shift record. detailed drawings of the bulkhead. of the construction as soon as is practicable after the construction of an emergency dam or bulkhead begins. As a worker, immediately notify the employer or contractor if you detect or suspect flammable gas underground and cease any work or activity that may ignite the gas. “fire-fighting equipment” means portable fire extinguishers and other suitable and adequate fire-fighting equipment. the estimated starting date and expected duration of the work or process. “excavation” means any dug-out area of ground other than a trench, tunnel or excavated shaft. “trench” means an elongated dug-out area of land whose depth exceeds its width at the bottom. “excavated shaft” means a dug-out passage into the ground, the longest dimension of which exceeds 1.5 metres and of which the acute angle between the axis of the longest dimension and the vertical is less than 45°. “tunnel” means an underground passage that has an incline of not more than 45° from the horizontal. name, telephone number and fax number of the employer or contractor or a person designated by the employer or contractor to be contacted for additional information. any long-term action that will be taken to prevent the occurrence of a similar accident or the reasons for not taking action. “qualified person” means a person with the qualifications that the director may specify in the direction. name, telephone number and fax number of the employer, contractor or owner or a person designated by the employer, contractor or owner to be contacted for additional information. “competent” means a person possessing knowledge, experience and training to perform a specific duty. This requirement is also valid for owners. any long-term action that will be taken to prevent the occurrence of a similar dangerous occurrence or the reasons for not taking action. This requirement is also valid for supplier. any corrective actions taken to prevent occurrence of a similar incident. “oil and gas operations” mean all drilling procedures for the exploration of oil and gas; drilling, operation and servicing of a gas well or an oil well; production of oil or gas from a well and ancillary processes associated with these activities. details of the occupational health committee (OHC) or representative. (iv) any maintenance, correction or repair work carried out on mechanical components of the hoist, the hoisting rope, conveyance or any other part of the hoisting, dumping or loading equipment. (iv) any maintenance, correction or repair work carried out on the electrical components of the hoist and all related equipment. (h) the times when the hoist operator started and finished a shift. (iv) details of any modification made to the hoist and a copy of the certificate required by section 114. (c) the operating procedures to be followed when the hoist is operated on automatic control. the disposition of the rope. Qualifications of hoist operator pursuant to section 179. “tests” to be performed at least daily when hoist is in operation pursuant to sections 127 and 129. “test” means to test the safety of the hoist by moving the conveyance one complete trip up and down the working portion of the shaft. the date of issuance of any explosives, detonators or detonating cord from the magazine and the quantity and type issued. “magazine” means a building, structure or place in which an explosive or detonator is kept, but does not include a day box. has demonstrated adequate practical knowledge of explosives and safe blasting procedures. Qualifications pursuant to section 244. The notice must include the name and address of the manufacturer of the explosive or detonator and the details of the discovery. “direct supervisor” means a supervisor who personally directs or oversees workers underground at a mine or in the pit of an open pit mine but does not include a lead hand. the safety procedures to be implemented, including signalling procedures. address the type of testing equipment to be used and how that equipment should be calibrated to ensure accuracy. details the functioning of the emergency warning system. “qualifications” means qualifications set out in sub clause 389(1)(b)(ii) and clauses 389(1)(c) and (d). “qualifications” means qualifications set out in sub clause 390(1)(b)(ii) and clause 390(1)(c). be accompanied by the plans mentioned in section 406. (hh) "worksite" means an area at a place of employment where a worker works or is required or permitted to be present. (b) if a provision refers to any matter or thing that an employer is required to do in relation to a place of employment, the provision applies to every place of employment of that employer, unless the context requires otherwise. (3) For the purposes of subclause (1)(g)(ii), a person, partnership or group of persons is considered to be a contractor only if that person, partnership or group of persons knows or ought reasonably to know the provisions of this Part and the regulations made pursuant to this Part respecting the work or the place of employment at the time of retaining the employer or self-employed person to perform work at a place of employment. (b) a single, serious occurrence of conduct, or a single, serious comment, display, action or gesture, that has a lasting, harmful effect on the worker. (5) For the purposes of paragraph (1)(l)(i)(B), harassment does not include any reasonable action that is taken by an employer, or a manager or supervisor employed or engaged by an employer, relating to the management and direction of the employer’s workers or the place of employment. (c) comply with this Part and the regulations made pursuant to this Part. (b) shall provide the occupational health officer who received the compliance undertaking or who served the notice of contravention with a written report of the progress that has been made towards remedying each contravention of this Part or the regulations made pursuant to this Part that is stated in the compliance undertaking or notice of contravention. 3-64. (1) For the purpose of obtaining any information that is required to determine compliance with this Part or the regulations made pursuant to this Part or is otherwise required for the performance of the duties or the exercise of the powers of the director of occupational health and safety, an occupational health officer, the chief occupational medical officer or the chief mines inspector, the director of occupational health and safety may direct any person to provide the director with any information in any form and manner and within any time that the director may specify. (2) In the prescribed circumstances, an employer shall compile occupationally related injury and illness statistics for the place of employment. (b) ensure that the compilation of the statistics pursuant to clause (a) includes the prescribed matters. (4) The statistics must be compiled and provided in a manner that protects the confidentiality of workers. (iii) if there is no occupational health committee or occupational health and safety representative, the workers. (b) to provide the director with a written report by the qualified person mentioned in clause (a) setting out the results of those tests or examinations. (2) No employer, contractor, owner or supplier shall fail to comply with a written direction issued to the employer, contractor, owner or supplier pursuant to this section. (2) No employer or owner shall fail to comply with a written direction issued to the employer or owner pursuant to this section. (qq.1) "percutaneous" means a route of entry that is through the skin or mucous membrane, and includes subcutaneous, intramuscular and intravascular routes of entry. (kkk) "work-related area" means all places that are ancillary to a place of employment, and includes lunchrooms, restrooms, first aid rooms, lecture rooms, parking lots under the control of the employer or contractor, offices and work camp living accommodations, but does not include a permanent living accommodation. (2) For the purposes of the Act and in these regulations and all other regulations made pursuant to the Act, "injury" includes any disease and any impairment of the physical or mental condition of a person. (3) Any word or expression used but not defined in these regulations or the Act has the meaning commonly given to it at places of employment in the industry concerned. (b) "lumber" means lumber that is free of visible defects. 125. (1) An employer, contractor or owner shall ensure that a work platform that is an integral part of a slip form used in a building shaft is designed by a professional engineer to withstand the maximum foreseeable load and is constructed, erected and used in accordance with that design. (2) An employer, contractor or owner shall ensure that a platform mentioned in subsection (1) that has been moved is examined by a competent person and that a written report of the examination is made by the person who carried it out and kept by the employer, contractor or owner. (3) An employer, contractor or owner shall not require or permit a worker to work on a platform mentioned in subsection (1) that has been moved before the platform has been examined in accordance with subsection (2), unless the worker is using a personal fall arrest system, a full-body harness, a lanyard or a lifeline that meets the requirements of Part VII. (4) Where there is no work platform installed at the level of a doorway or opening in a building shaft, an employer, contractor or owner shall ensure that the doorway or opening is covered by a solid barrier that extends from the bottom of the doorway or opening to a height of at least two metres and is capable of preventing a worker or loose material from falling down the shaft. (5) An employer, contractor or owner shall ensure that at least one warning sign indicating the presence of an open building shaft is placed on a barrier erected pursuant to subsection (4). (c) the existence of a committee or representative, if any, at the place of employment and the means to contact the committee or representative. (2) Subsection (1) applies only to contractors at major construction projects and to contractors involved in those activities to which Part XXIX applies. 25. (1) An employer shall ensure that all equipment is maintained at intervals that are sufficient to ensure the safe functioning of the equipment. (b) the defect is corrected by a competent person as soon as is reasonably practicable. (b) repair the equipment if the worker is authorized and competent to do so. 32. An employer or contractor shall report to the co-chairpersons, the representative or their designates any lost-time injury at the place of employment that results in a worker receiving medical treatment and allow the co-chairpersons, the representative or their designates a reasonable opportunity to review the lost-time injury during normal working hours and without loss of pay or other benefits. (f) any corrective actions taken to prevent occurrence of a similar incident. (2) An employer shall provide a copy of a report prepared pursuant to subsection (1) to any worker who was exposed to the chemical substance or biological substance that was released. (d) a representative has reasonable opportunity to hold a special meeting pursuant to subsection 47(2) at any time. (2) An employer or contractor shall ensure that no member of a committee or representative who participates in a regular meeting held pursuant to section 41 or subsection 47(1) or in a special meeting held pursuant to section 44 or 49 or subsection 47(2) loses any pay or other benefits as a result of that participation. 411. This Part applies to all drilling procedures for the exploration of oil and gas and to the drilling, operation and servicing of a gas well or an oil well, the production of oil or gas from a well and the ancillary processes associated with these activities. 4 The use of power tools not equipped with HEPA filtration to grind, cut or abrade any asbestos-containing surface or product. 3 The removal, the encapsulation or enclosure or the disturbance of minor amounts of friable asbestos-containing material during the repair, alteration, maintenance, demolition, or dismantling of a structure, machine or equipment or part of a structure, machine or equipment. 7 The removal of small samples of asbestos-containing material for the purpose of identification. (c) dig a tunnel that a worker will be required or permitted to enter. (2) Not later than 14 days before beginning the process, an employer, contractor or owner shall give notice to the division of the intention to begin a high risk asbestos process listed in Table 5 of the Appendix. (g) the estimated starting date and expected duration of the work or process. (b) will require a worker to be admitted to a hospital as an in- patient for a period of 72 hours or more. (f) the name, telephone number and fax number of the employer or contractor or a person designated by the employer or contractor to be contacted for additional information. (3) An employer or contractor shall provide each co-chairperson or the representative with a copy of the notice required by subsection (1). 11. On the minister's request, an employer shall provide to the division, or to any other agency that may be designated by the minister, a report setting out details of all person-hours worked and all work-related injuries during the preceding year. (ss) "workings" means the parts of a mine where excavations have taken place or are taking place. (2) Unless otherwise provided, terms used in these regulations that are defined in the OHS regulations have the meanings given to them in those regulations. (3) A reference in these regulations to a table is a reference to the table as set out in Part I of the Appendix. (4) A reference in these regulations to a form is a reference to the form as set out in Part II of the Appendix. (c) countersign the entries made pursuant to clause (b) at least weekly. 111. (1) An employer or contractor must provide a rope record book for each hoisting compartment. (2) An employer or contractor must ensure that all entries made in the rope record book pursuant to these regulations are countersigned within one week of the entry being made. 112. (1) An employer or contractor must provide a hoist operator's log book for each hoist. (b) countersign the entries made pursuant to clause (a) at least weekly. (d) notwithstanding section 12, ensure that records of the results of all tests required by this subsection are kept indefinitely. (2) At least three days before commissioning tests required by clause (1)(b) are conducted, an employer or contractor must notify the chief mines inspector of the time at which the tests are to be conducted. (3) Before a hoist is put back into service after it has been out of service for a period of 15 months or more, the employer or contractor must notify the chief mines inspector of the measures that have been taken to ensure that the hoist is in safe working condition. (ii) of sufficient strength to withstand any loads imposed by the rope. (2) An employer or contractor must ensure that any conical portion of a hoist drum is equipped with grooves to prevent the rope from slipping on the drum or from coiling unevenly. (3) An employer or contractor must ensure that a hoist drum and a sheave are arranged so that the rope properly coils across the face of the drum and winds smoothly from one layer to another without cutting into the rope layer beneath. (b) there is a minimum of three turns of rope on the drum when the conveyance is at the lowest point of travel in the shaft. (b) details of the method to be used for tensioning the hoisting rope. (c) records the results of the examination and any adjustments made in the hoisting machinery log book. (b) a thorough annual visual examination of each conveyance and its joints and welds is carried out by a competent worker. (ii) safety devices are re-calibrated to account for any reduction in tread diameter. (b) by a qualified worker, in the case of safety devices. (4) An employer or contractor must ensure that every repair, adjustment or alteration to a hoist system is made only by a competent person authorized by the employer or contractor. (5) An employer or contractor must ensure that a written record of any inspection, examination, repair or other activity carried out pursuant to this section is recorded in the hoisting machinery log book by the person who carried out the activity. 148. (1) An employer or contractor must ensure that the hoist system, all electrical components, electrical safety devices and electrical signalling devices are inspected weekly by a qualified worker. (2) If a defect or unsafe condition that may create a hazard to a worker is identified in an inspection conducted pursuant to subsection (1), the employer or contractor must ensure that, in addition to meeting the requirements of section 30, the defect is repaired or the unsafe condition is corrected by a qualified worker. (3) An employer or contractor must ensure that every repair, adjustment or alteration to a component mentioned in subsection (1) is made only by a qualified person authorized by the employer or contractor. (4) An employer or contractor must ensure that a written record of any inspection, repair or other activity carried out pursuant to this section is recorded in the electrical hoisting equipment log book by the person who carried out the activity. (iii) in the case of a guide rope or rubbing rope, at the suspension point. 152. (1) If a rope is installed in a hoisting compartment, the employer or contractor must forward to the chief mines inspector the information mentioned in clauses 151(1)(a) to (g), except the information mentioned in paragraph 151(1)(a)(v)(E), with respect to that rope as soon as possible after the rope is installed. (2) If an electromagnetic test or any other approved test of a rope is required by this Division, the employer or contractor must forward a report of the test, including graphs and interpretations, to the chief mines inspector within 30 days after the test. (ii) at least every six months, each connection and rope attachment mentioned in clause (a), other than a swivel attachment. (ii) by another method approved by the chief mines inspector. (3) An employer or contractor must ensure that the hoist operator records the results of the test required by clause (2)(b) in the hoist operator's log book. (b) at intervals not exceeding five years. (b) at least every six months, thoroughly cleans and examines the attachment or device. (6) An employer or contractor must ensure that the competent worker who carries out any of the examinations required by this section records the results of the examination in the hoisting machinery log book. (b) records the details of the inspection mentioned in clause (a) in the hoisting machinery log book. (c) records the details of the inspections mentioned in clauses (a) and (b) in the hoisting machinery log book. (ii) an examination for any corrosion, distortion, broken wires or wear on the rope. (c) to determine whether the rope is properly wound on the drum. (4) If, as a result of an inspection pursuant to subsection (1), there is a finding of corrosion, broken wires, an appreciable reduction in diameter or an appreciable amount of wear, the competent worker must monitor the condition of the rope to ensure that the rope is capable of safe operation by re-examining the portion of the rope in which the problem is found at intervals of time that are sufficient to protect the health and safety of workers. (e) records the details of the examinations mentioned in clauses (a) to (d) in the hoisting machinery log book. (B) if the procedure described in paragraph (A) is not reasonably practicable, by another approved method. (2) If the attachment between a hoisting rope and the conveyance or counterweight is disassembled, the employer or contractor must ensure that the attachment is not reassembled unless the rope is in satisfactory condition. (3) An employer or contractor must ensure that the competent worker who conducts any inspection, test or other action pursuant to this section records the details in the hoisting machinery log book. (iii) if necessary, opening corroded portions of the balance rope to examine the interior of the rope. 170. (1) Subject to subsections (2) to (6), an employer or contractor must ensure that, at least every 12 months, an approved electromagnetic testing service examines each balance rope, guide rope and rubbing rope with an electromagnetic testing device or another approved method to determine whether the rope is in safe operating condition. (2) Subsection (1) does not apply to guide ropes and rubbing ropes located in potash mines. (b) at any other interval of time directed by the chief mines inspector. (b) by ensuring that at least every 12 months each rope is examined by an approved electromagnetic testing service with an electromagnetic testing device or another approved method. (7) If reasonably practicable, an employer or contractor must ensure that, at least every five years, each guide rope and rubbing rope is lifted through a distance that is at least 1.5 times the headframe capping length. (8) If there is uneven wear in a guide rope, the employer or contractor must ensure that the rope is turned through a suitable angle at suitable intervals of time to equalize the wear around the diameter of the rope. (9) An employer or contractor must record the details of an inspection or action required pursuant to this section in the hoisting machinery log book. (b) ensure that examinations of the rope are conducted at appropriate intervals of time along the length of the rope to ensure the safety of workers. 175. (1) If a hoisting rope is taken out of service, the employer or contractor must, within 180 days, give written notice of that fact to the chief mines inspector. (c) the disposition of the rope. (g) the person is authorized by the person's employer or contractor to act as a hoist operator. 180. If an employer or contractor suspends or revokes an authorization to act as a hoist operator, the employer or contractor shall immediately inform the chief mines inspector of the suspension or revocation and the reasons for it. (ii) the employer or contractor will undertake to ensure that the person meets the qualifications set out in section 179 before the employer or contractor authorizes the person to act as a hoist operator. (j) practices and procedures to be followed in using a hoist to transport workers. (3) The chief mines inspector may permit a person who fails the hoist operator's examination to make another attempt after a period of not less than 30 days after the date of the previous attempt. (c) ensure that no worker, other than a worker designated pursuant to clause (a), is in charge of a conveyance that is under manual control. (2) An employer or contractor shall not designate a worker pursuant to clause (1)(a) unless the worker has been trained in hoisting signals and the matters set out in subsection (3). (d) gives any necessary hoist signals to the hoist operator. (b) the fire control and emergency response plan developed pursuant to section 383 contains suitable provisions to ensure the conveyance is made available in the event of an emergency. (e) records the results of each test required by this section in the hoist operator's log book. (b) records the results of the tests mentioned in clause (a) in the hoist operator's log book. (b) records the results of the test in the hoist operator's log book. (2) Subsection (1) does not apply if a hoist is sitting idle on automatic. (b) specify the time within which the report mentioned in clause (a) must be submitted. 231. (1) An employer or contractor must ensure that each magazine is kept securely locked at all times except during deliveries, withdrawals and inspections conducted pursuant to section 232. (c) the date of issuance of any explosives, detonators or detonating cord from the magazine and the quantity and type issued. (3) An employer or contractor must ensure that, at each magazine, the oldest stock of each type and size of explosive is used first. (b) countersign the entries made pursuant to subclause (a)(ii). (b) all deteriorated explosives are disposed of in a safe manner. (iii) the supervisor records the details of the vehicle's load and location in the shift record. (c) stops the vehicle before crossing a railway track. (c) stop the vehicle before crossing a railway track. 238. (1) An employer or contractor must ensure that, except in an emergency, no vehicle is refuelled while it is being used to transport explosives. (2) If a vehicle is refuelled while being used to transport explosives, the employer or contractor must report the details of the occurrence to the committee as soon as possible. (3) Subsections (1) and (2) do not apply to a vehicle that is used only for the transportation and storage of explosives, detonators or detonating cord. 245. If an employer or contractor suspends or revokes an authorization to act as a blaster, the employer or contractor shall immediately inform the chief mines inspector of the suspension or revocation and the reasons for it. (b) must forward to the chief mines inspector a copy of any temporary authorization to blast issued pursuant to clause (a) within 14 days of issue. (b) the day on which the worker is issued a blaster's certificate. (3) An employer or contractor shall not renew a temporary authorization to blast unless at least 60 days have passed since the expiration of the temporary authorization. (b) the employer or contractor of that person provides a written notice to the chief mines inspector stating the person meets the qualifications set out in section 244. (j) misfires and faulty firing circuits. (3) The chief mines inspector may permit a person who fails the blaster's examination to make another attempt after a period of not less than 30 days after the date of the previous attempt. (c) wash out the explosive by an approved method if the explosive used is water soluble. (2) If drilling is required, the blaster must notify the direct supervisor before commencing drilling. (b) supervise the drilling of holes mentioned in clause (a). (4) If any mishole remains at the end of a shift, the direct supervisor must record the location of each mishole in the shift record. (d) if the ground support is installed normally, the ground support is installed to the end of the workings. 282. (1) An employer or contractor must give notice to the chief mines inspector as soon as is reasonably possible when a defective explosive or detonator is discovered. (2) The notice required by subsection (1) must include the name and address of the manufacturer of the explosive or detonator and the details of the discovery. (b) is removed and disposed of in a safe manner in accordance with the manufacturer's recommendations. (4) If an employer or contractor wishes to dispose of a significant amount of explosives, other than by detonation or returning the explosives to the supplier, the employer or contractor must first obtain the written approval of the chief mines inspector of the disposal procedure to be used. 291. (1) An employer or contractor must develop and implement a written program to monitor the quality and quantity of the air in all parts of an underground mine except in those areas barricaded or fenced off. (iii) the type of equipment to be used and how the equipment is to be calibrated. (c) the records of the air quality program are readily available to workers. (b) immediately notify the employer or contractor. 313. (1) An employer or contractor must develop and implement a written program to test the brakes of all vehicles. (c) following a major repair to the braking systems of any vehicle. (3) If a rubber-tired vehicle used to transport material on the surface has a gross vehicle weight in excess of 25 000 kilograms and a rated speed in excess of 32 kilometres per hour, an employer or contractor must ensure that the service brakes are tested annually in accordance with Table 3. (b) the results of the tests required pursuant to clause (2)(b) are recorded in the vehicle record mentioned in section 316. (b) each vehicle record mentioned in section 316 is kept readily available to the operator of the vehicle or, if reasonably practicable, with the vehicle. (b) the competent person records the details of the maintenance and repairs in the vehicle maintenance record mentioned in section 316. 324. (1) If a worker is in danger from vehicular traffic, an employer or contractor must develop and implement a written traffic control plan to protect the worker from traffic hazards. (viii) the duties of workers and the employer or contractor. (b) the traffic control plan developed pursuant to subsection (2) is made readily available for reference by workers. 330. (1) An employer or contractor must develop a written dump plan at least 14 days before commencing construction of the dump, roads and ramps that are part of the dumping operation. (v) the safety procedures to be implemented, including signalling procedures. (3) An employer or contractor must ensure that a dump plan developed pursuant to subsection (1) is made readily available to workers at the mine. (f) the proposed dump location may pose a hazard to a building, road, power transmission line, pipeline or major watercourse. (c) ensure that all workers and self-employed persons comply with the work plan. (e) control of drawpoints and dumping operations. (ii) in all other cases, in a maintenance record. (b) the undiluted exhaust emissions of each diesel engine before the exhaust gases pass through an exhaust gas scrubber to ensure that the contamination limit set out in section 346 is not exceeded. (d) address the type of testing equipment to be used and how that equipment should be calibrated to ensure accuracy. (ii) records the results of any test done pursuant to clause (1)(b) in a maintenance record. 349. (1) If a diesel engine operates underground and there is a risk to workers from exposure to airborne diesel particulate matter, an employer or contractor must develop and implement a written testing program to test the concentration of airborne diesel particulate matter underground. (e) submit a copy of the results recorded pursuant to clause (c) to the chief mines inspector. (vi) at any other area that is designated as a fire hazard area pursuant to section 352. (b) located so that, in the event of a fire, it will be accessible. 356. (1) In this section, "equipment" means the fire-fighting equipment required pursuant to section 355. (ii) located at the place of employment and made readily available to workers. (c) ensure that the results of each inspection conducted pursuant to clause (b) are recorded. (d) detailed drawings of the bulkhead. (2) An employer or contractor must ensure that every bulkhead is maintained to safely withstand any load expected to be placed on it. (iii) to completely close off a mine opening. 377. (1) Notwithstanding sections 374 and 375, an employer or contractor may construct a dam or bulkhead without obtaining the approval of the chief mines inspector if an emergency situation arises that may jeopardize the health or safety of a worker or the safety of the mine if the dam or bulkhead is not constructed. (iv) detailed drawings of the dam or bulkhead. (b) meets the requirements of this section. (c) be equipped with a primary and back-up means of activation. (3) Before installing or significantly modifying any emergency warning system required pursuant to subsection (1), an employer or contractor must submit the details of the emergency warning system, or any modification to it, to the chief mines inspector. (b) if reasonably practicable, a fire suppression system. (ii) any other effective means. (c) details the functioning of the emergency warning system. (3) An employer or contractor must ensure that any report prepared pursuant to subsection (2) is posted in a conspicuous location on the surface. (e) the person is designated by the person's employer or contractor to act as a mine rescue worker. (2) An employer or contractor must ensure that accurate training records are kept for each mine rescue worker. (d) the person is designated by the person's employer or contractor to act as a mine rescue instructor. (2) An employer or contractor must ensure that accurate training records are kept for each mine rescue instructor. 391. (1) A person is eligible to take the mine rescue worker examination if the employer or contractor of that person provides a written notice to the chief mines inspector stating that the person meets the qualifications set out in subclause 389(1)(b)(ii) and clauses 389(1)(c) and (d). (2) A person is eligible to take the mine rescue instructor examination if the employer or contractor of that person provides a written notice to the chief mines inspector stating that the person meets the qualifications set out in subclause 390(1)(b)(ii) and clause 390(1)(c). (4) The chief mines inspector may permit a person who fails the mine rescue worker examination or the mine rescue instructor examination to make another attempt after a period of not less than 30 days after the date of the previous attempt. (b) ensure that the results of each inspection conducted pursuant to clause (a) are recorded by the competent person mentioned in clause (a) and countersigned by the employer or contractor. 405. (1) An employer, contractor or owner must give written notice to the chief mines inspector of an intended closing or abandonment of a mine or a major part of a mine. (c) be accompanied by the plans mentioned in section 406. (ii) forwarded to the chief mines inspector. (b) at least 14 days before disposal, notify the chief mines inspector in writing of the disposal procedure to be used for the purposes of clause (a). 5. (1) Subsection 7(1) of the OHS regulations does not apply to mines. (b) the commencement of work at a major new part of a mine. (b) includes the specifications and layout of the facility. (4) A notice required by this section must contain the information mentioned in subsection 7(3) of the OHS regulations. 77. (1) If a shaft is to be sunk in an area underlain by water-bearing or brine-bearing sedimentary strata, the employer, contractor or owner must give written notice to the chief mines inspector of any intention to drill any hole for the purpose of consolidating a shaft site by a grouting or freezing method. (c) if subsection (3) applies, include the radius and specifications of the pillar to be left around the shaft. (b) a professional engineer determines the appropriate radius and other specifications of the pillar to meet the requirements of clause (a). (b) the lining is installed and maintained to a distance of not less than 15 metres from the bottom of the shaft. (c) ensure that the lining, whether temporary or permanent, is installed and maintained to a distance from the bottom of the shaft that is not less than the distance specified pursuant to clause (b). (d) no worker works below a loading pocket unless the loading pocket has been adequately secured to prevent any inflow of material. (c) the hoist operator implements the procedures established pursuant to clause (a). (b) countersign the entries made pursuant to clause (a) on a regular basis. (4) If a worker is required or permitted to be below a staging or suspended work platform in a shaft or raise, or to be on a staging or suspended work platform that is being moved, the employer or contractor must ensure that the staging or suspended work platform is equipped with a secondary suspension system that will prevent the staging or platform from falling if the primary suspension system fails. (5) While a staging or suspended work platform is being moved, the employer or contractor must ensure that only the workers who are required to move the staging or platform are required or permitted to be on it.